Previous PostPrevious 1074. 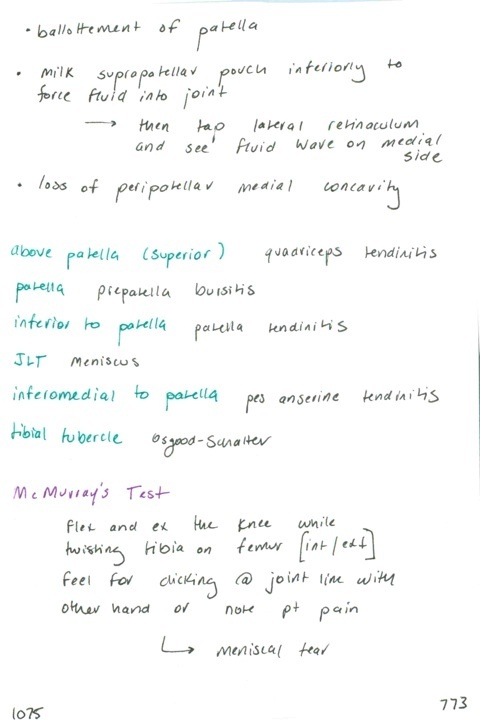 Two knee articulations / Common peroneal nerve becomes what? May be injured when? When injured, causes what motor deficit? // Pain that refers to the knee // High energy knee injury without swelling suggests what? Early hemarthrosis suggests what? Late hemarthrosis?